This unique text/reference presents a thorough introduction to the field of structural pattern recognition, with a particular focus on graph edit distance (GED). The book also provides a detailed review of a diverse selection of novel methods related to GED, and concludes by suggesting possible avenues for future research. Topics and features: formally introduces the concept of GED, and highlights the basic properties of this graph matching paradigm; describes a reformulation of GED to a quadratic assignment problem; illustrates how the quadratic assignment problem of GED can be reduced to a linear sum assignment problem; reviews strategies for reducing both the overestimation of the true edit distance and the matching time in the approximation framework; examines the improvement demonstrated by the described algorithmic framework with respect to the distance accuracy and the matching time; includes appendices listing the datasets employed for the experimental evaluations discussed in the book. 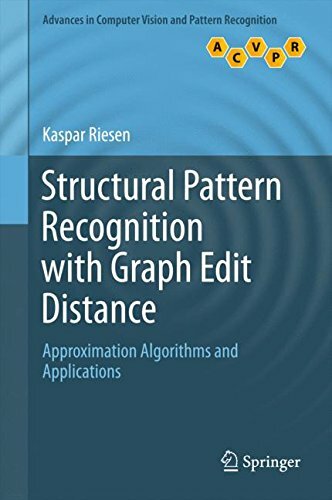 About: This unique text/reference presents a thorough introduction to the field of structural pattern recognition, with a particular focus on graph edit distance (GED).